How can the EU contribute more proactively to the development of nonviolent strategies? Can it help forge an alternative style of politics when responding to conflicts and violence? Seeking to build on Pope Francis’ 2017 World Day of Peace message: A Style of Politics for Peace in which Francis invited the international community to make better use of nonviolent strategies, on 21 April, Pax Christi International hosted a lively panel discussion at its Brussels office. 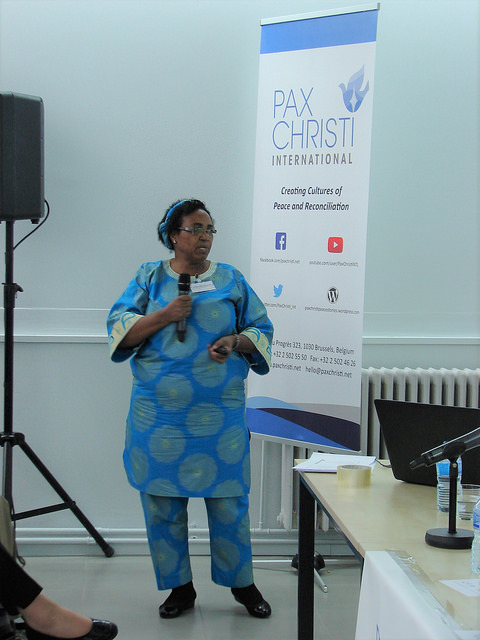 Pax Christi believes that the EU, along with its member states, has an important role to play, having employed and supported financially a wide array of external assistance instruments for the prevention of violent conflict and peace building. ← 50 years of occupation: Enough is enough!